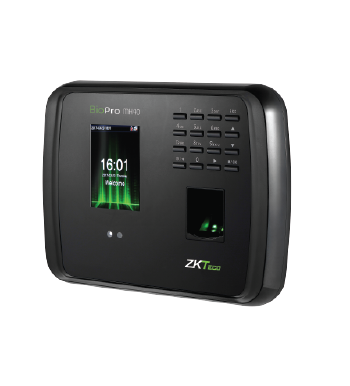 BioPro MH40 is an innovative product featured with ZK advanced fingerprint and face recognition technologies. 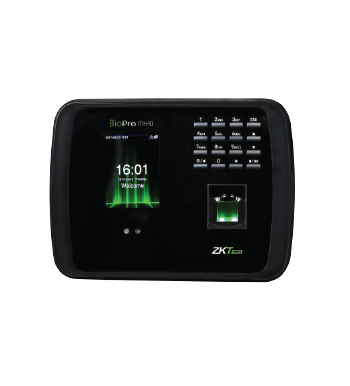 It supports multiple verification methods including face, fingerprint, card, password, combinations between them and basic access control functions. 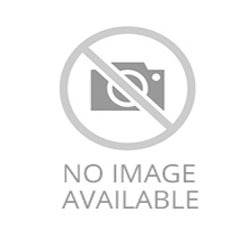 User verification is performed in less than 1 second, which streamlines the process of access. 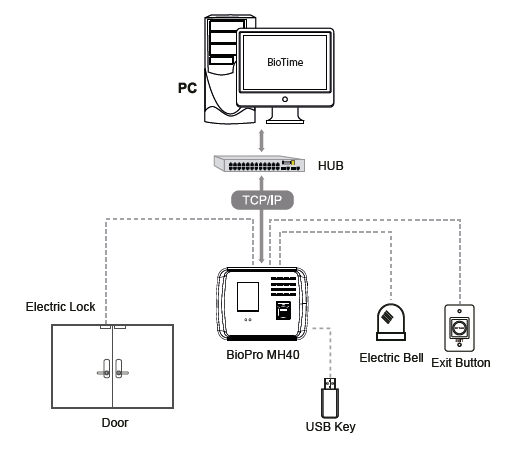 The communication between the BioPro MH40 and PC is by TCP / IP or USB interface for manual data transfer. Its sleek design fits perfectly in any environment. 1,500 Faces, 2,000 Fingerprints, 100,000 Records and 2,000 Cards. Communication: TCP/IP, USB-Host, Wi-Fi (Optional).